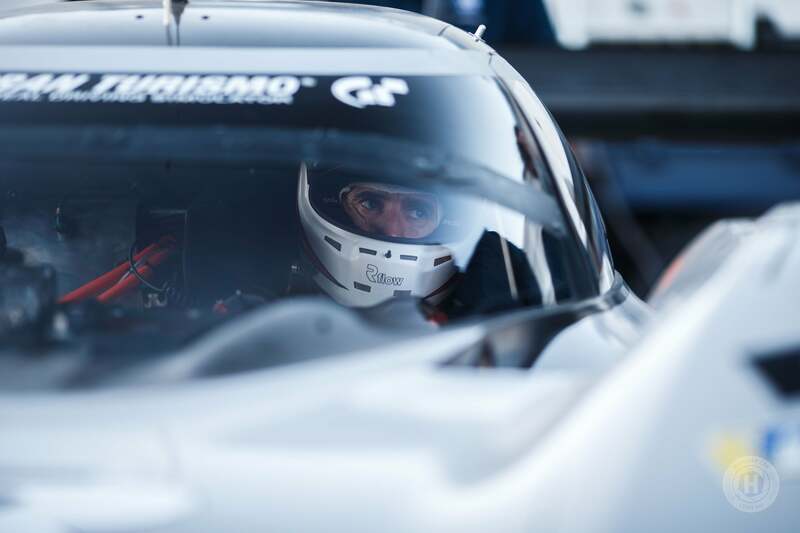 For many racing fans, the idea of an unlimited race car is all at once appealing and disappointing when you look at the top tiers of motorsport. 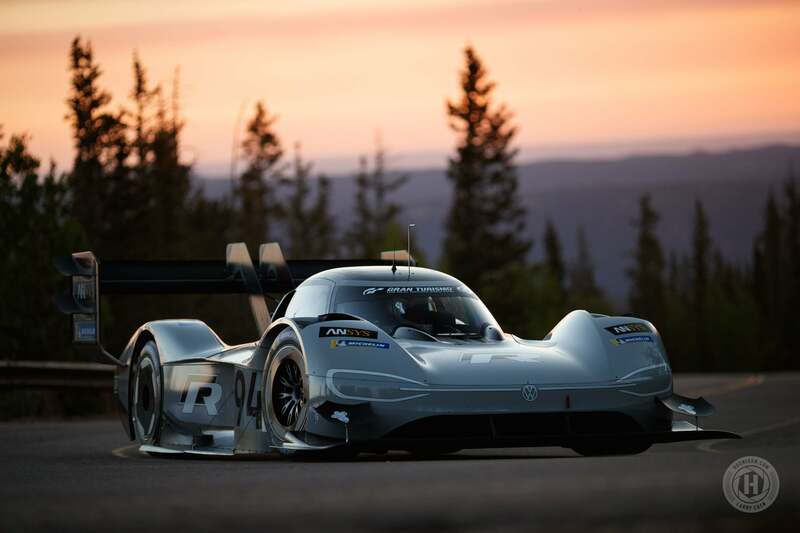 Prototype and Formula Car racing are supposed to be the pinnacle of automotive engineering, but both are hampered by rules that don’t allow them to go all out in the name of “fairness.” It leaves us left to wonder what could be. The Volkswagen Group decided it was time to do something about that and set out to build true, unlimited vehicles: the all-electric Volkswagen I.D. 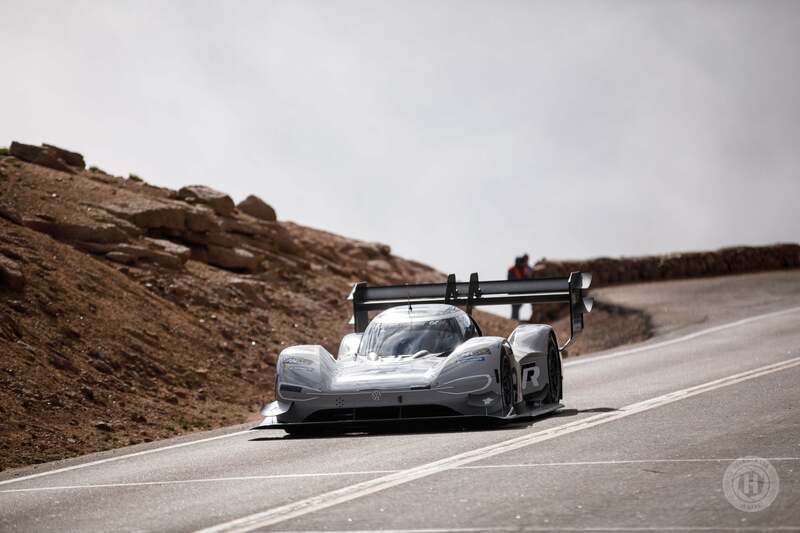 R and Porsche’s 919 Hybrid Evo. Both vehicles have proven what these manufacturers can do when budgets don’t matter, and technology isn’t constrained by parity. 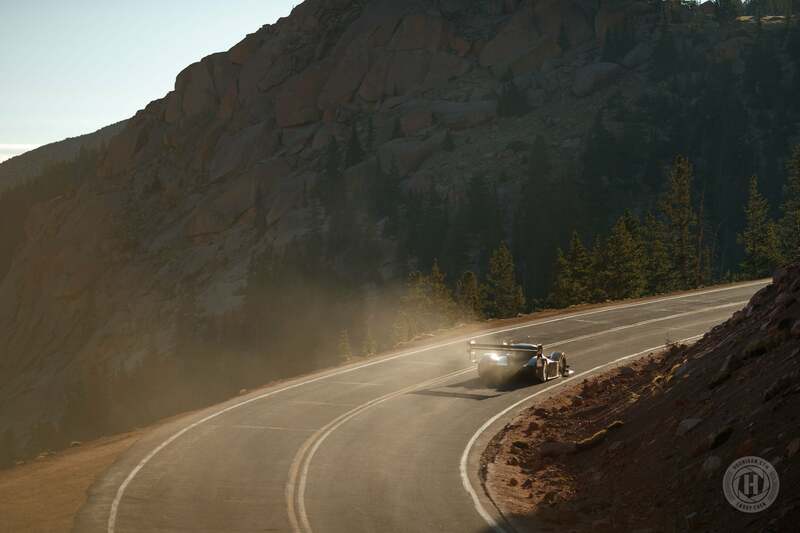 If you’re old enough to remember, this was essentially what Group C prototype and Group B Rally Racing were all about. 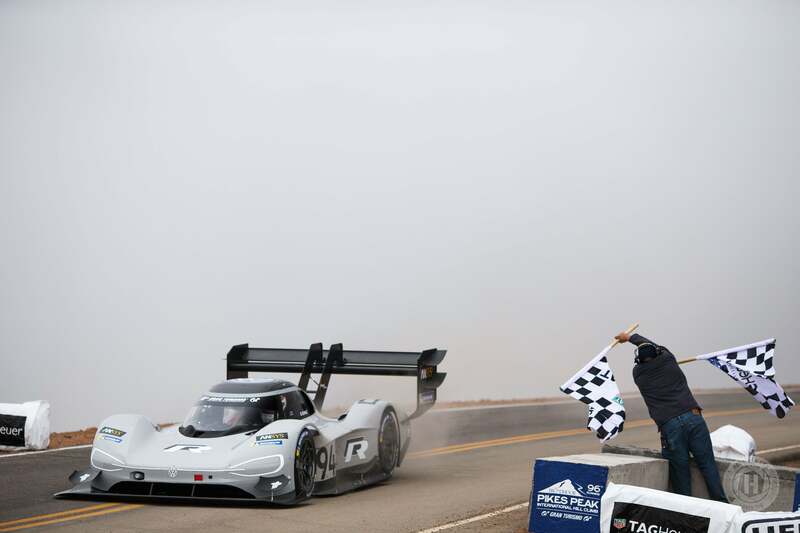 This is what happens when manufacturers make cars as fast as possible for a particular formula. The legendary icons of those eras were the cars, marvels of technology and racing, drivers who were bolder than those who dare debate Scotto on the East vs. West rap beef of the nineties, and speeds so ludicrous that it was unfathomable to the rest of us mere mortals. However, what they don’t tell you is why those series failed. 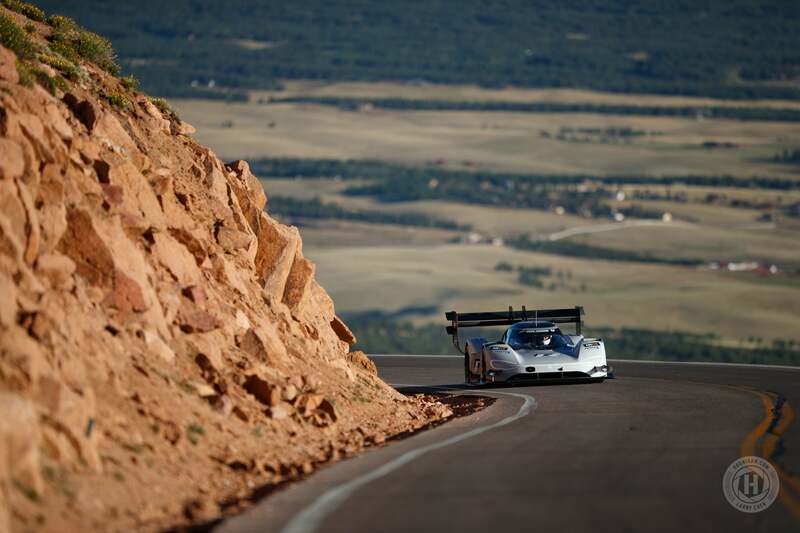 There was an excessive cost for each: the amount manufacturers spent in Group C and the lives of drivers and spectators in Group B. As both rose excessively, it begat regulation to the point of extinction. 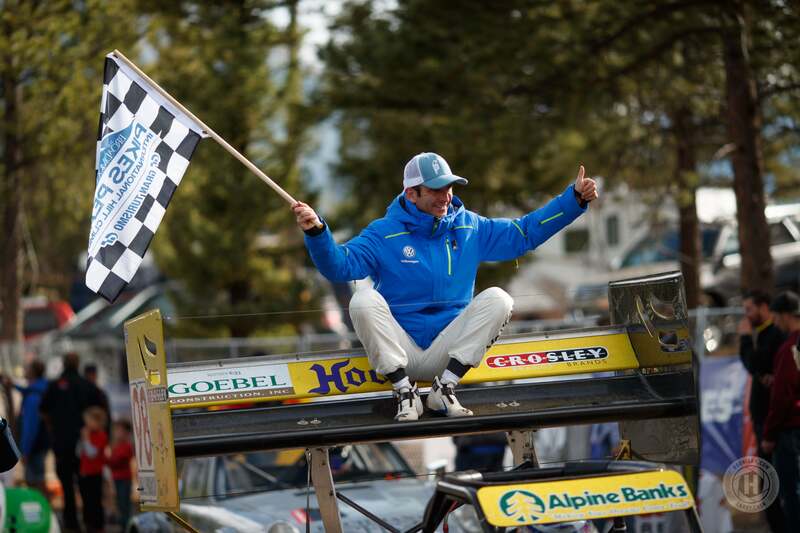 Group B Rally cars, however, got a second chance after the FIA dropped the ban hammer. 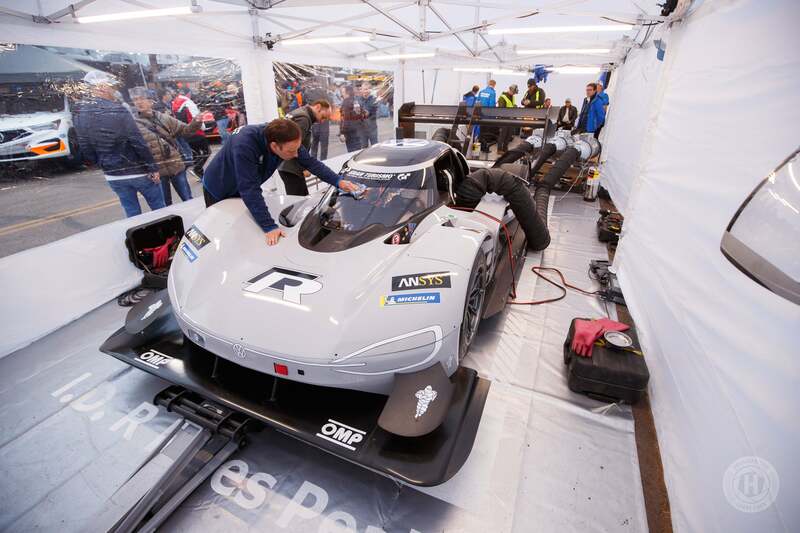 Instead of binning these cars with so much cost and development put into them, the manufacturers found other places to race. 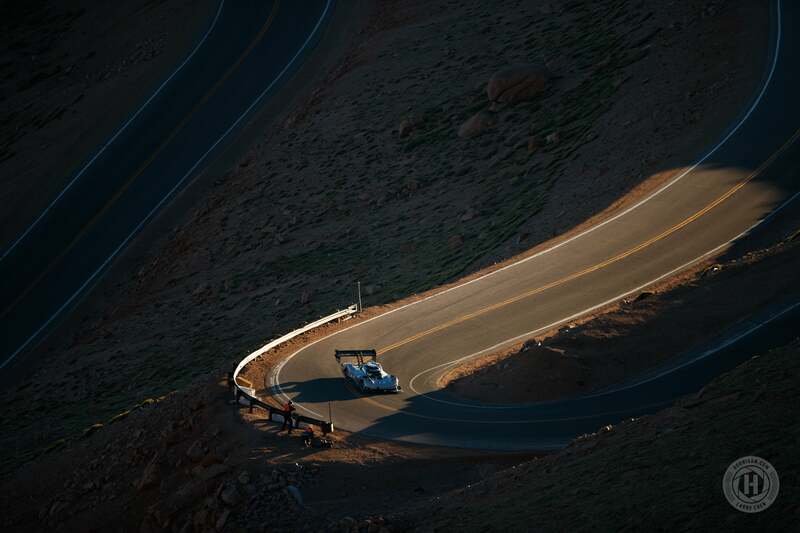 Peugeot went to Dakar in a modified T16, the Ford RS200s went rallycross racing along with the Metro 6R4, but there was one race that everyone literally looked up to as the living embodiment of Group B in the United States: The Pikes Peak International Hill Climb. 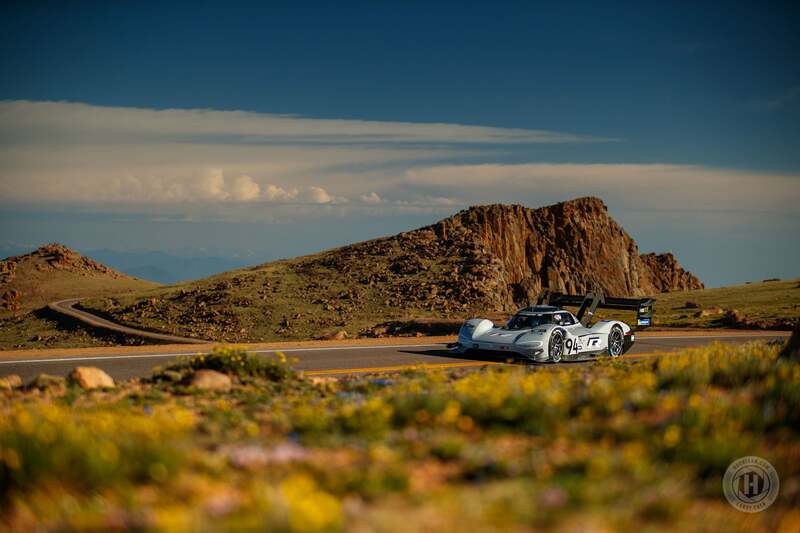 The Volkswagen Group as a whole has an interesting history with Pikes Peak through Audi, starting with Michele Mouton in 1984 as the first female driver to take the overall win and then, in 1985, when she broke Al Unser, Jr.’s 1982 record by 13 seconds taking the overall again. 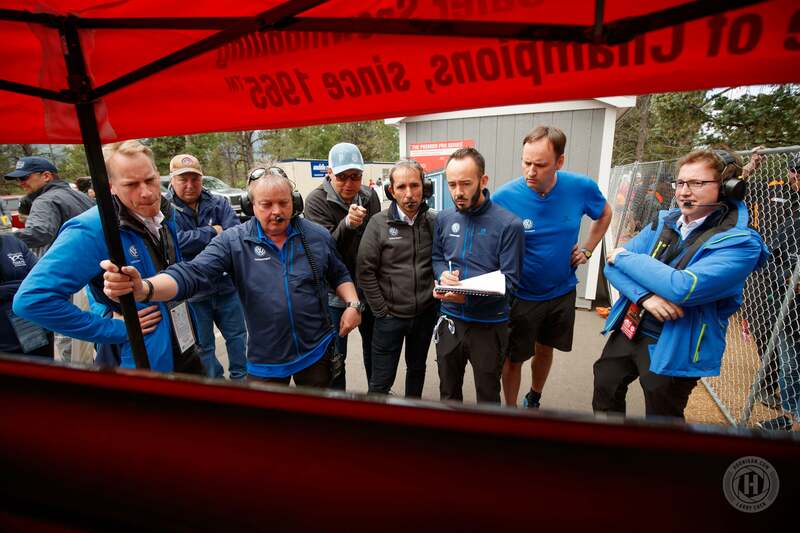 In 1986, Bobby Unser would run an Audi S1 resetting the record again and putting the Unser name back in the record book. 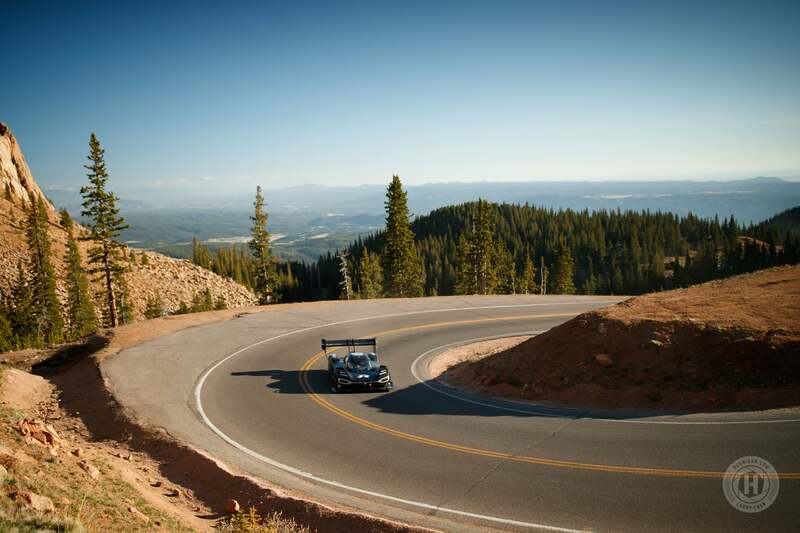 However, it would only be for a single year, when in 1987, Walter Röhrl's Quattro reset the Unlimited Class record for Pikes Peak by 20 seconds over Unser’s run. 1987 was also the same year that Volkswagen raced to the Peak with a 652-horsepower dual-engine Golf driven by Klaus-Joachim “Jochi” Kleint. 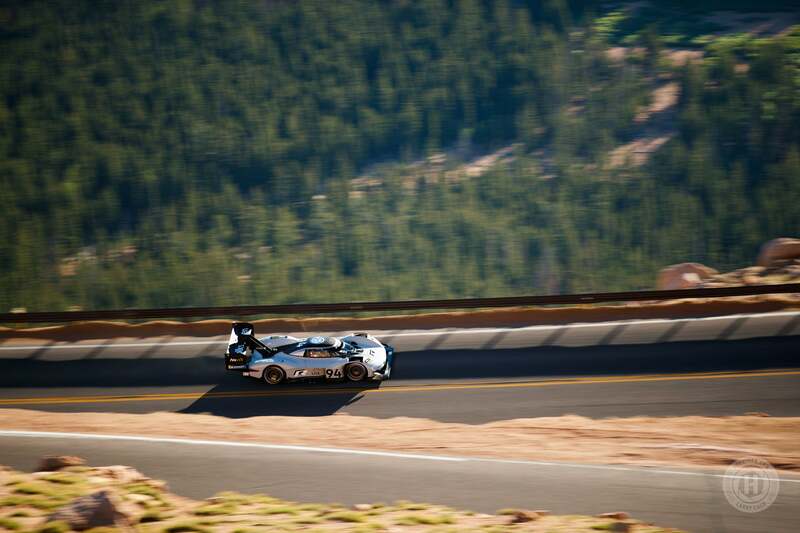 That was the last time that Volkswagen was officially at Pikes Peak in a competition car. 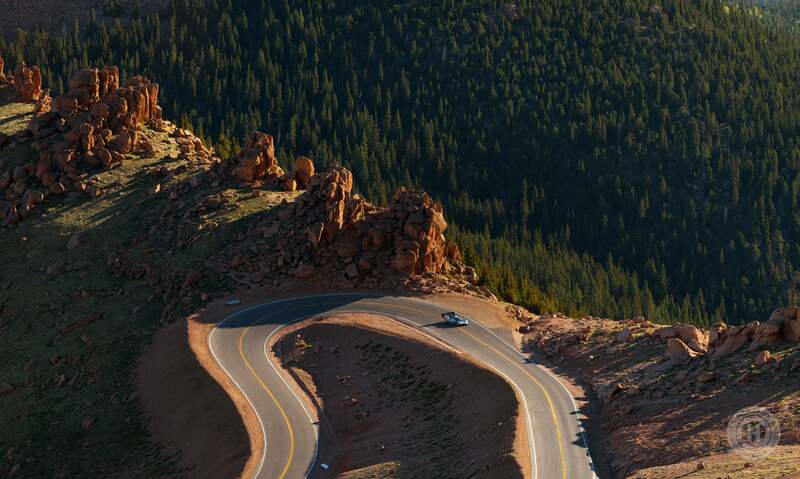 In the years to follow, the mountain road was fully paved after the City of Colorado Springs lost a lawsuit against the Sierra Club, forcing the city to pave the entire road. 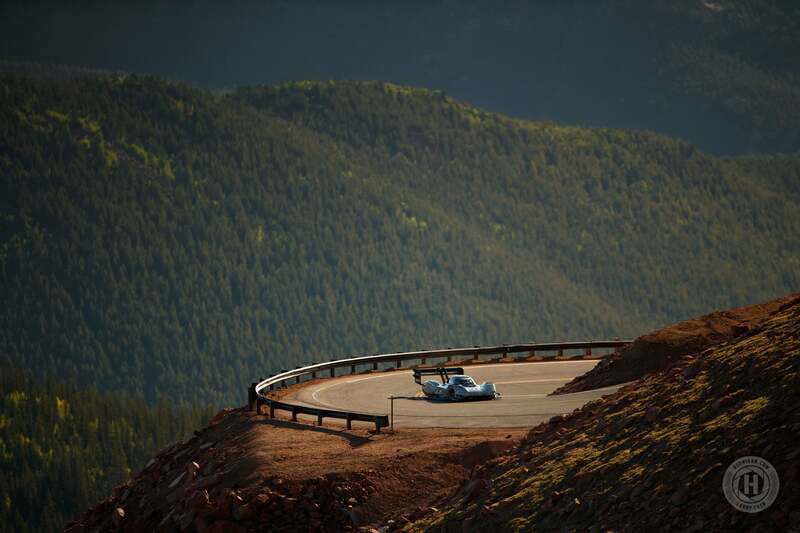 While many competitors bemoaned the paved road in 2011, including Pikes Peak Legend Rod Millen, it turned out that the finished surface reinvigorated the event as 2012 saw over 170 competitors versus 46 from the year before. 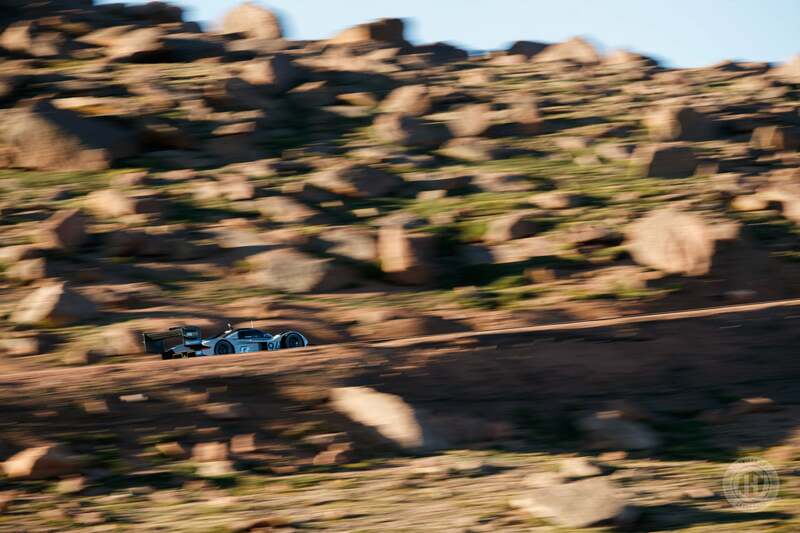 We also saw the rise of speed in the event with times dropping below the nine-minute mark after Sebastien Loeb set an 8:13.878 overall record in 2013. 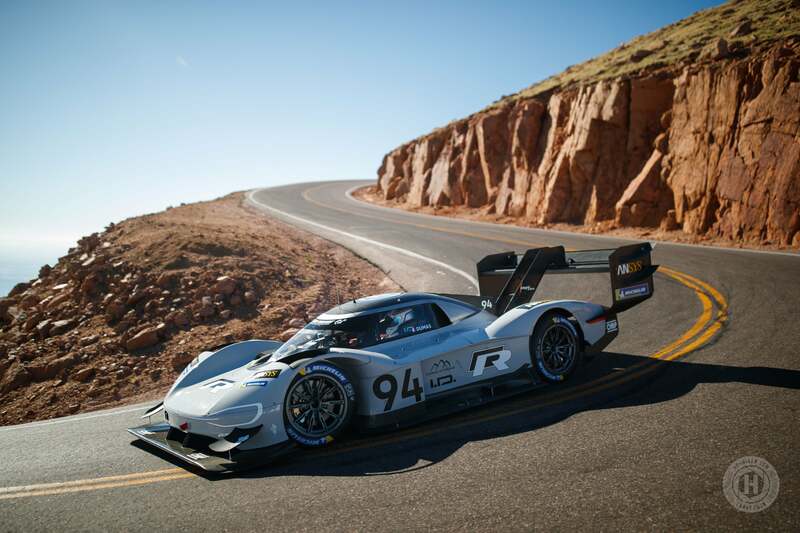 Electric cars also have a bit of an on and off again (no pun) history with the mountain. 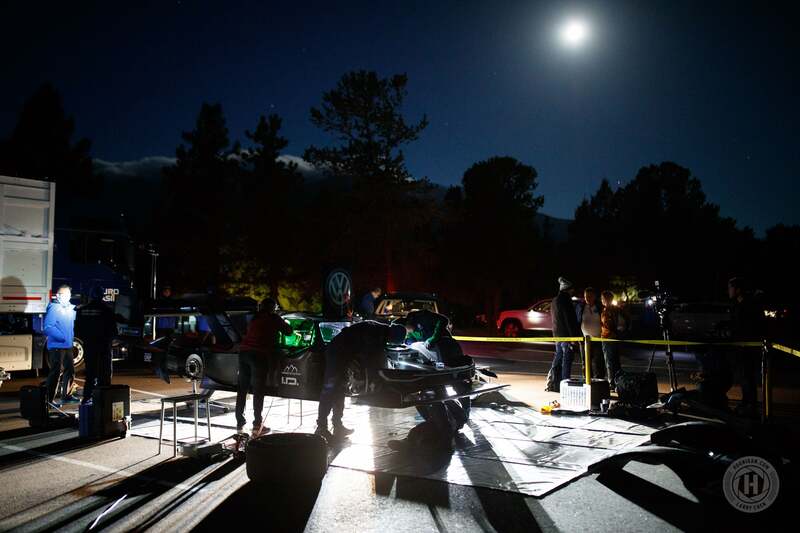 In 1981, a driver by the name of Joe Ball took a Sears electric car to the top in about 32 minutes and Ted Jones would drive an AM Hale Special electric car the next year in 27 minutes. However, the 90s would be where EVs would find some popularity on the Peak with Katy Endicott being the first, driving a Honda EV to the top and nearly halving the time set by Jones. Legendary off-road racer, Larry Ragland, took an electric powered Chevrolet S10 and set an EV record, besting Endicott by 12 seconds. 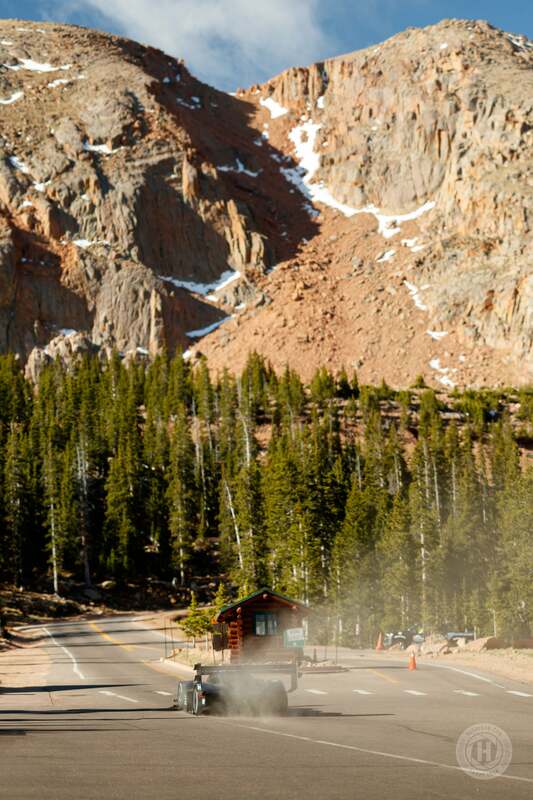 EV’s wouldn’t break the 10-minute mark until another legend of the hill built his own in 2013. 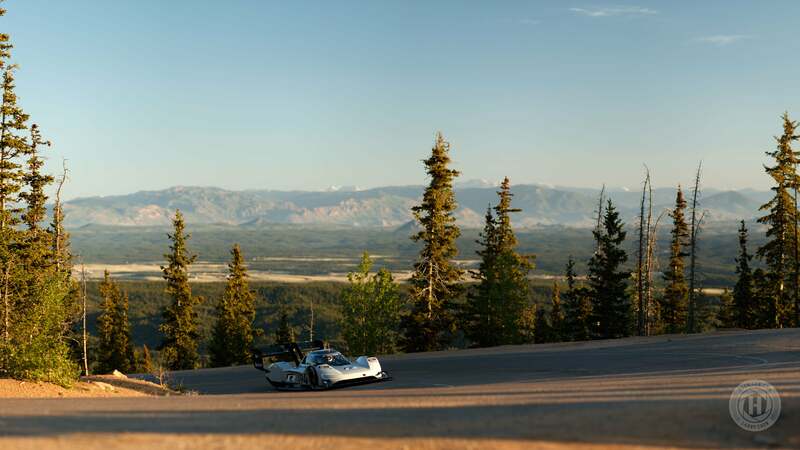 Nobuhiro “Monster” Tajima would set the EV record that held until Rhys Millen broke it and the 9-minute mark in 2016 with the Drive e0 PP100. 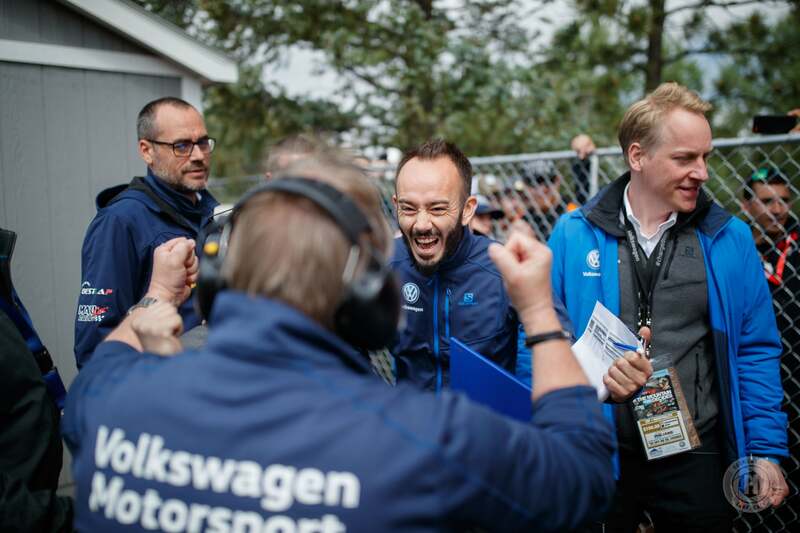 It was that car Volkswagen wanted to beat and the EV record was their benchmark. However, the I.D. 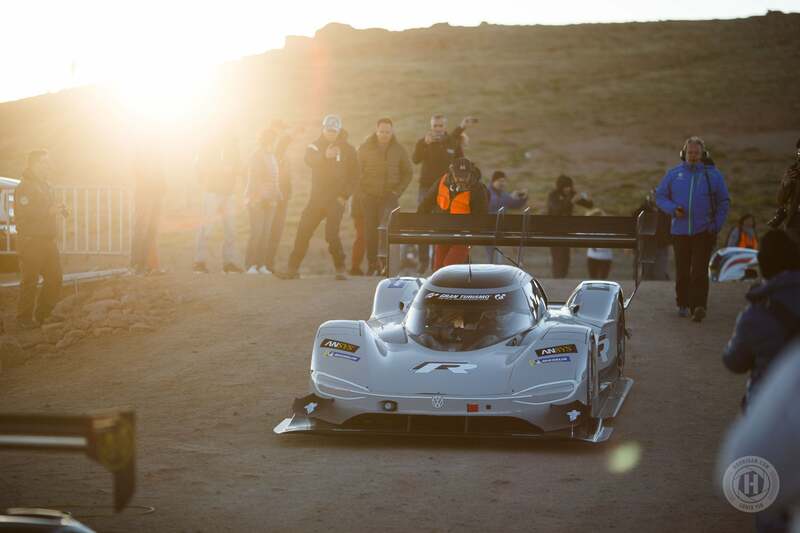 R was underpowered at 680 horsepower versus the e0’s 1,000-plus horsepower. 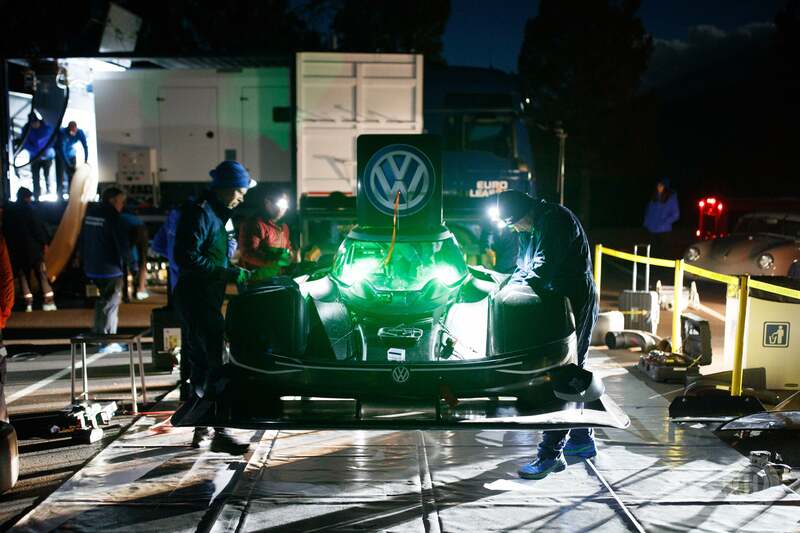 VW decided it wasn’t power that would break the record, but power-to-weight as the I.D. R tipped the scales at 2,425 lbs. 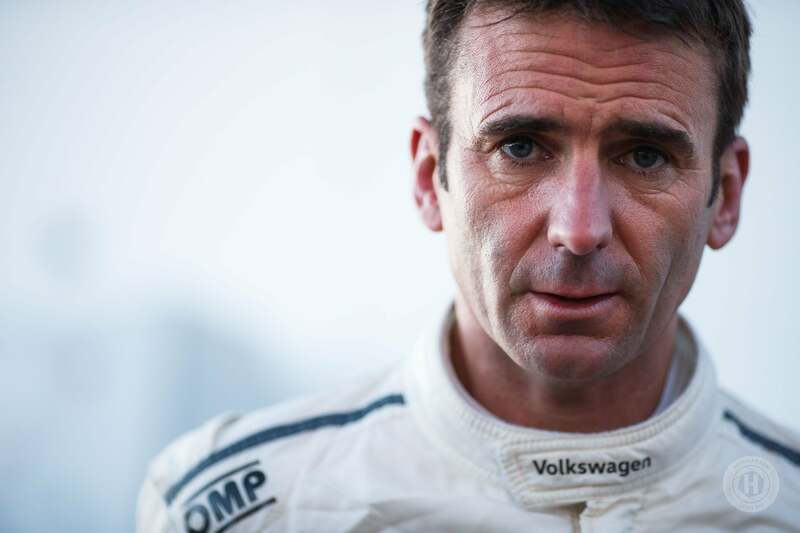 That doesn’t explain how VW beat the overall record set by Sebastien Loeb in the 208 T16, a car that weighed less (1,929 lbs.) and with more power (875 horsepower). Well, it should be noted, more power at sea level. That’s part of the trick, too. 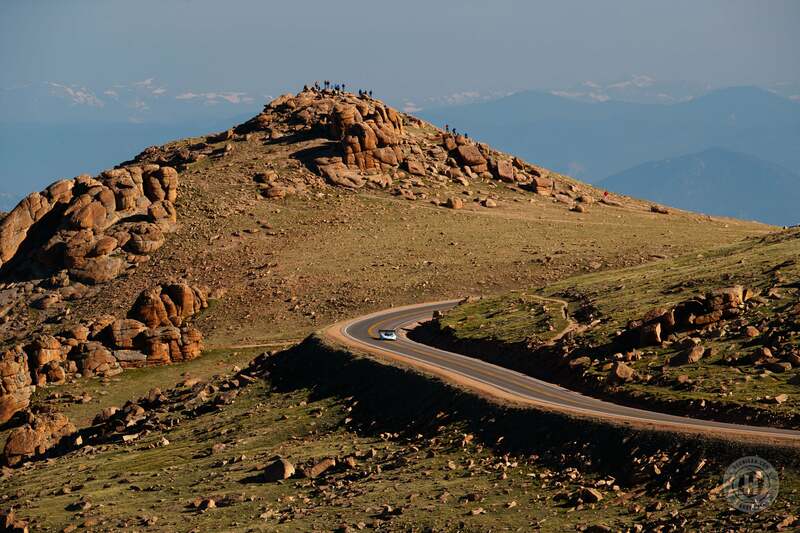 At 14,115 feet, the elevation of the Pikes Peak finish offers only 60-percent oxygen pressure of that at sea level. Just like you would, the 208 T16’s internal combustion engine struggled at the top, barely making 504hp. The electric I.D. R, in contrast, still makes about the same power from start to finish until its battery is depleted, no matter the elevation. This is usually around 2.8- to 3.0-volts per cell on a lithium ion battery and is why the I.D. R was basically coasting at the end. 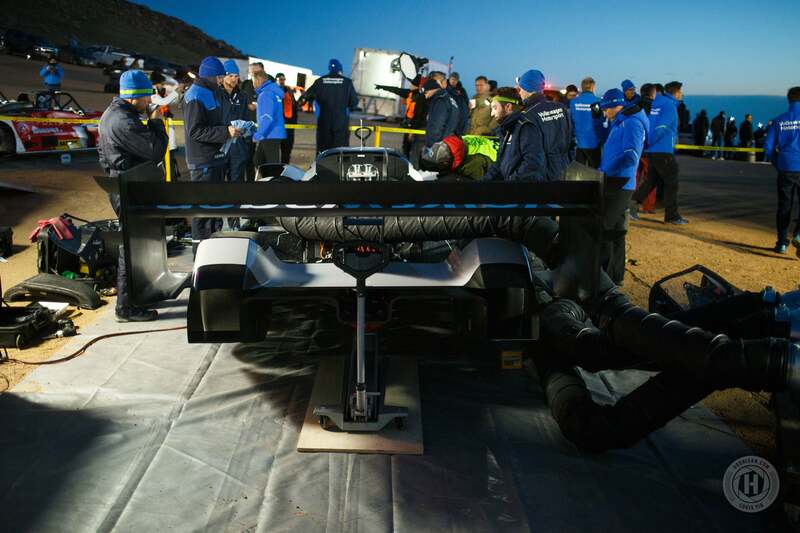 Despite regenerative braking, where about 20-percent of the battery’s capacity was recovered during the run, the batteries had just enough to get driver Romain Dumas to the finish. 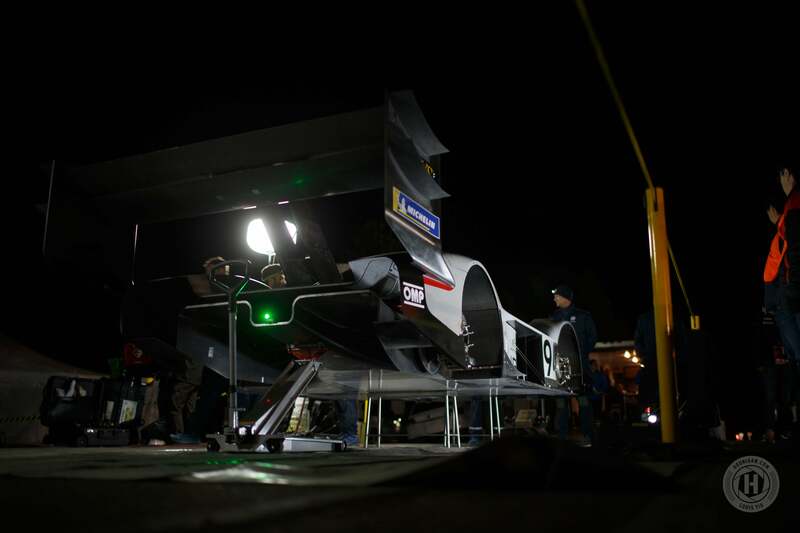 Again, weight was a critical design point of the car and it shows. The battery pack was small enough to fit in the cockpit of the car but only had 40-kilowatt/hour of capacity. Compare that to the Tesla Model S, where the smallest battery available (currently) is the 75-kilowatt/hour in the 75D that gets 259 miles per full charge. However, the Model S also weighs in at a portly 4,759 lbs. 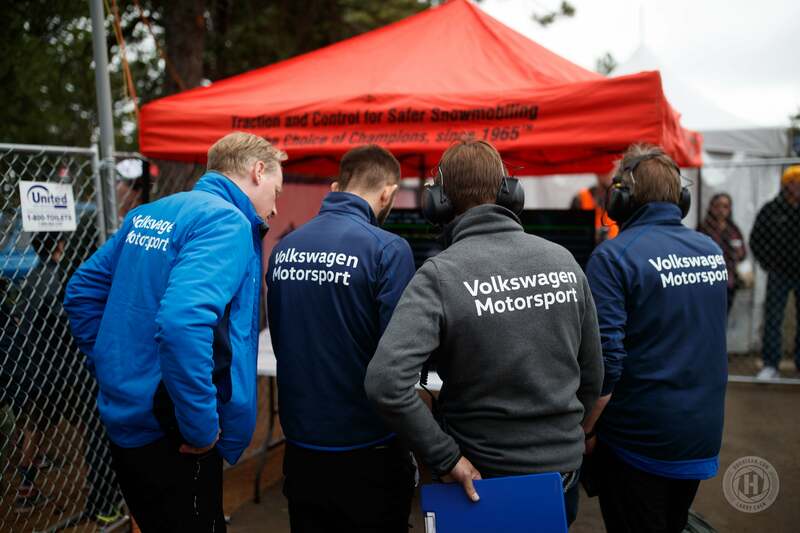 It would be difficult to compare both motors, since Tesla and Volkswagen don’t offer much information and, while the batteries are important, the types of motors are just as, if not more, important in range, efficiency, and even the power these cars make. The only thing we know for sure is that the motors in the I.D. 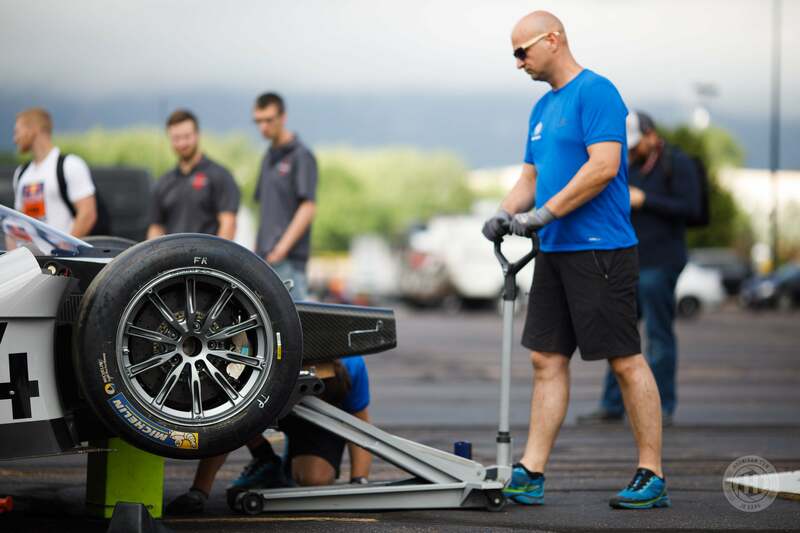 R were supplied by McLaren Electronics, who make the motors used in Formula E open wheel cars. The I.D. R features a water-cooled, three-phase, permanent magnet Alternating Current (AC) motor. It’s a lot to break down, but basically, it’s more powerful and efficient than a single-phase or even Direct Current (DC) motor. Yes, even though the batteries are DC, the motor controller converts the signals to AC via an inverter integrated in most Motor Control Units (MCUs). There’s also another issue that plagues all cars, gas-powered or not, and that is aerodynamics. 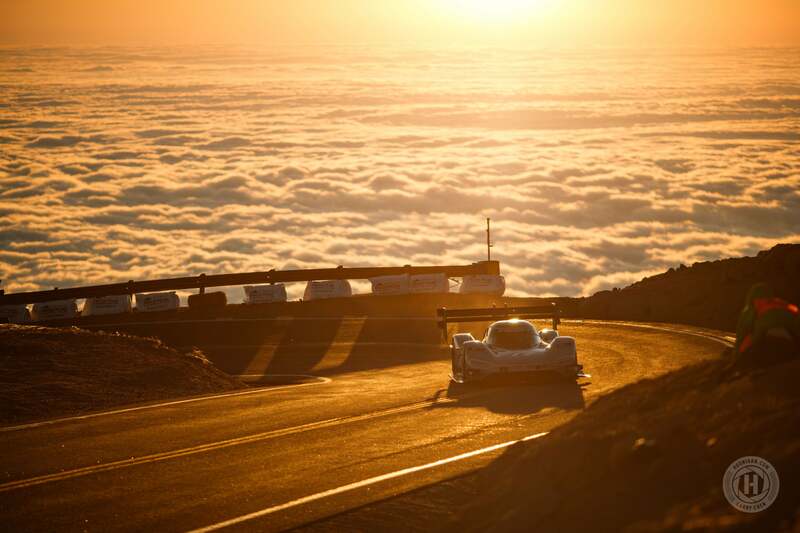 Thin air doesn’t just choke engine power on ICE engines, it also reduces the amount of downforce you get as you climb in altitude. 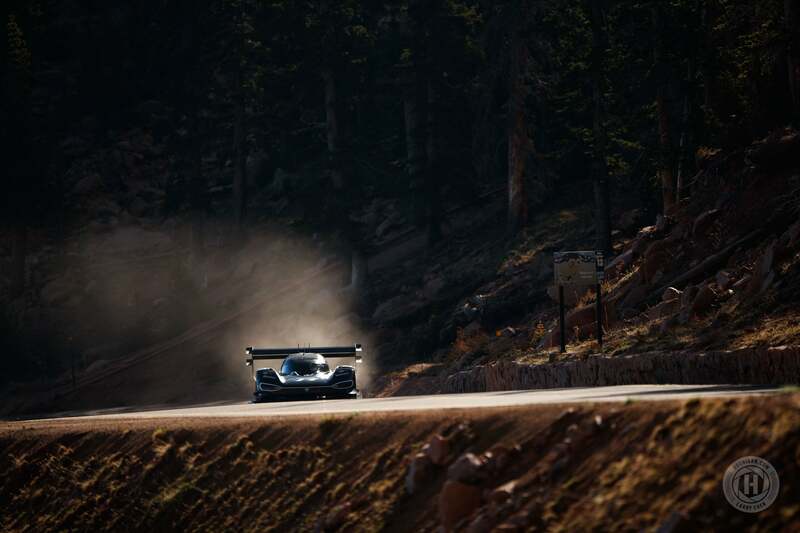 That’s why Pikes Peak cars feature crazy looking, huge wings. 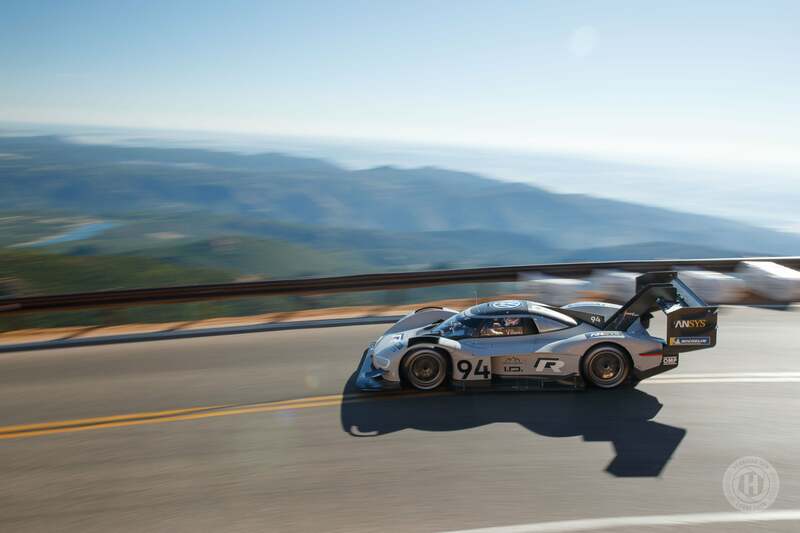 To get the downforce needed for these high-horsepower cars, you need a way to capture as much air as possible at such thin densities. 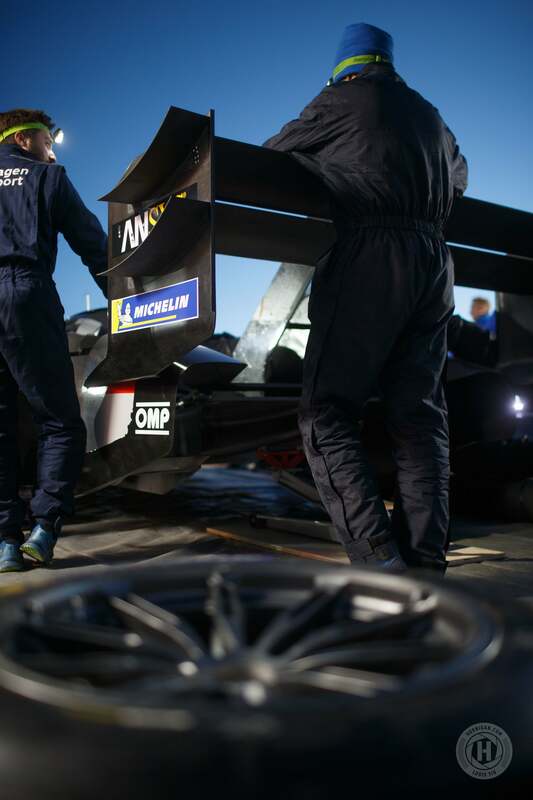 That’s where Porsche and the 919 come into the picture. 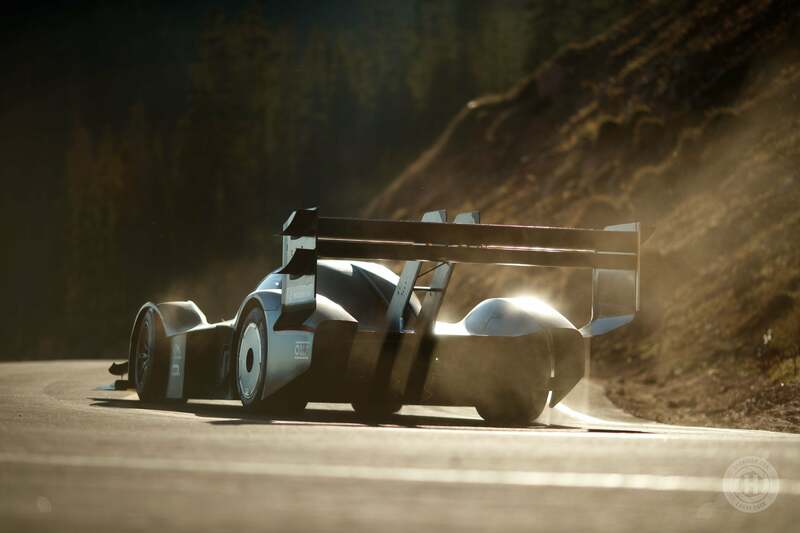 Because Volkswagen only had about nine months to build the car from the ground up, they needed help and it just so happened that Porsche was building the 919 Hybrid Evo. 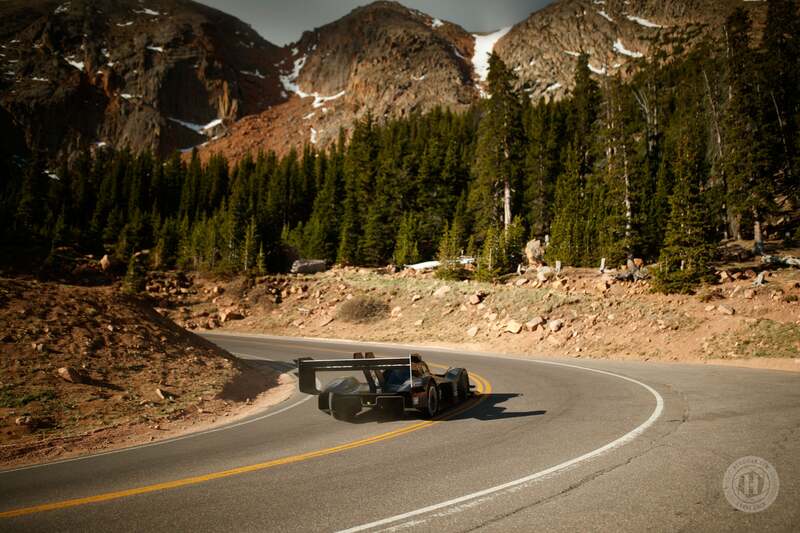 That car, however, wasn’t made for Pikes Peak. 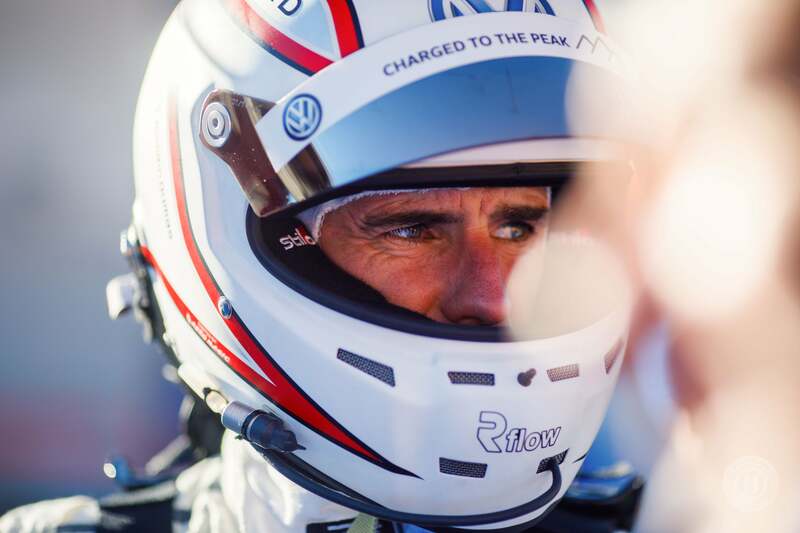 It was made to smash track records, like it did at the Nürburgring Nordschleife recently with Timo Bernhard behind the wheel. 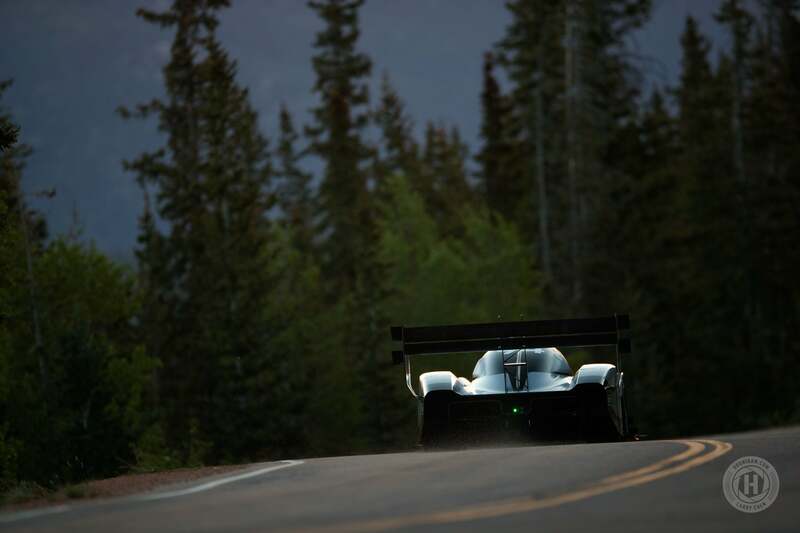 While built for different disciplines, both cars do have a need for advanced aerodynamic features and Porsche shared what they learned from the 919 with VW. The proof of their work showed in the results. 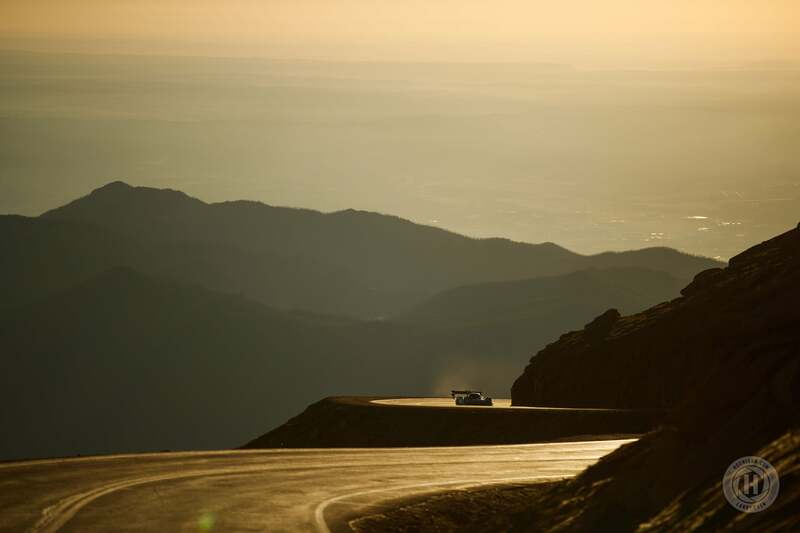 For 35 years and about a month, the Nordschleife record stood proud and unwavering. Back in the day, Stefan Bellof drove the Nordschleife in 6:11.13. That’s nearly 13 miles with an average speed of about 125mph. 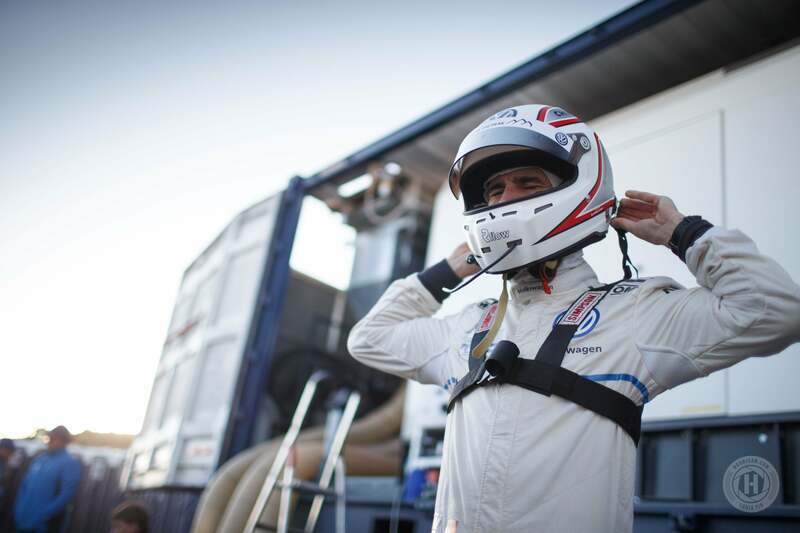 Timo smashed it with his 5:19.55 with an average speed of 145mph. In the same fashion, the I.D. R smashed the Pikes record with a 7:57.148. 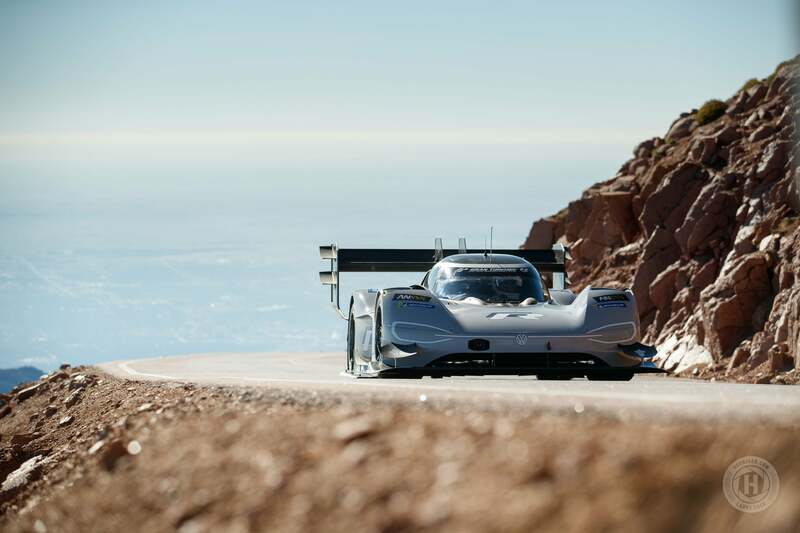 What both cars have in common was that neither were limited to a formulaic specification. 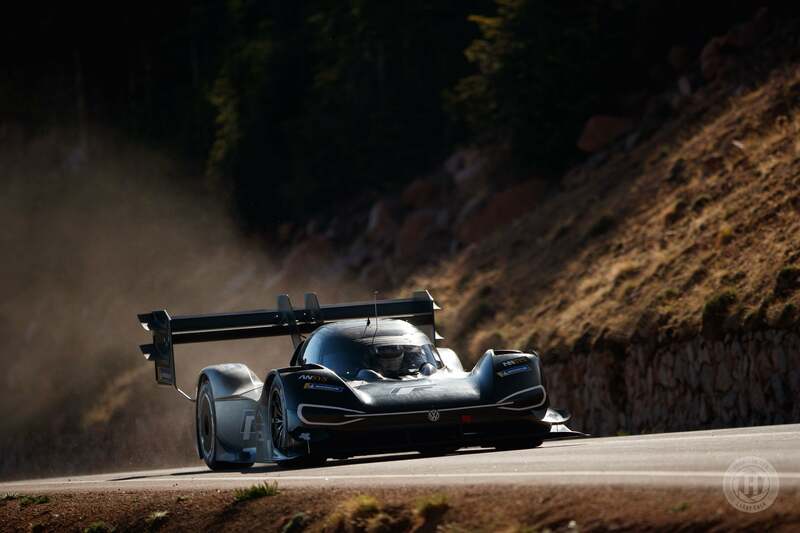 Sure, they were based on prototype race cars, but there were no restrictions on engines, power, battery capacity, use of hybrid power, aerodynamics, or anything else. The only restriction the I.D. 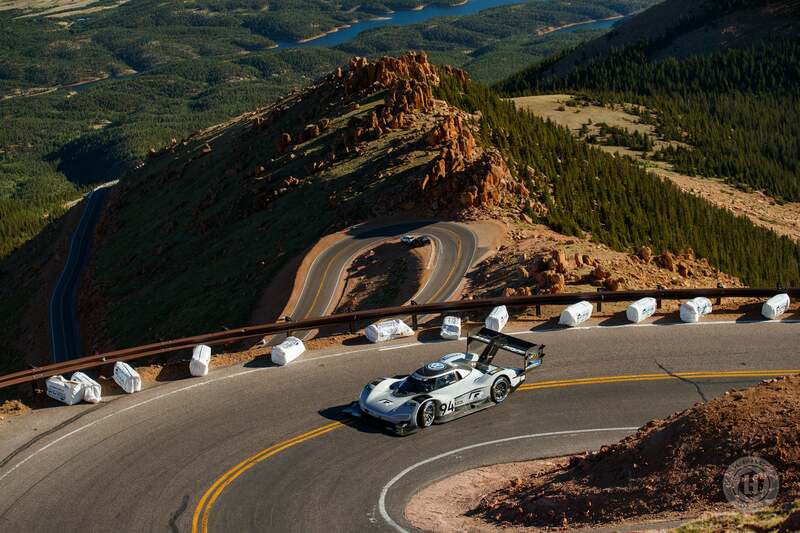 R Pikes Peak faced was the limited time to prepare for the Peak. 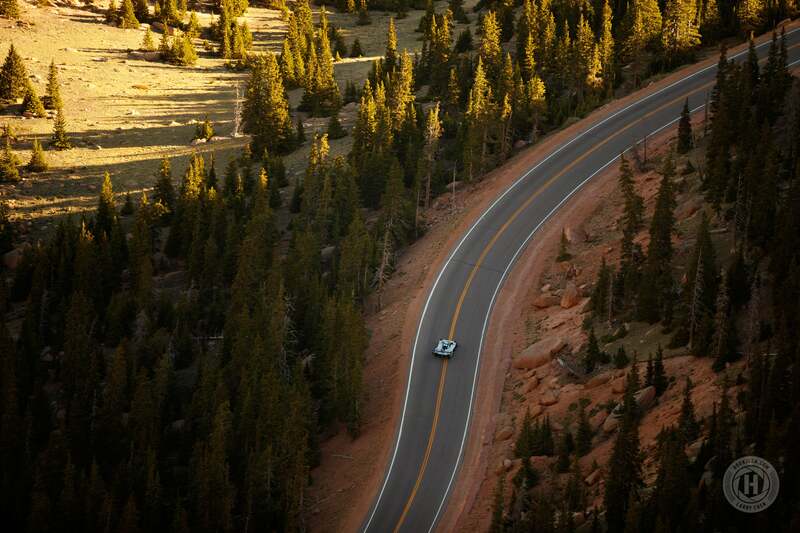 Nothing else hindered the car’s performance. Both the I.D. 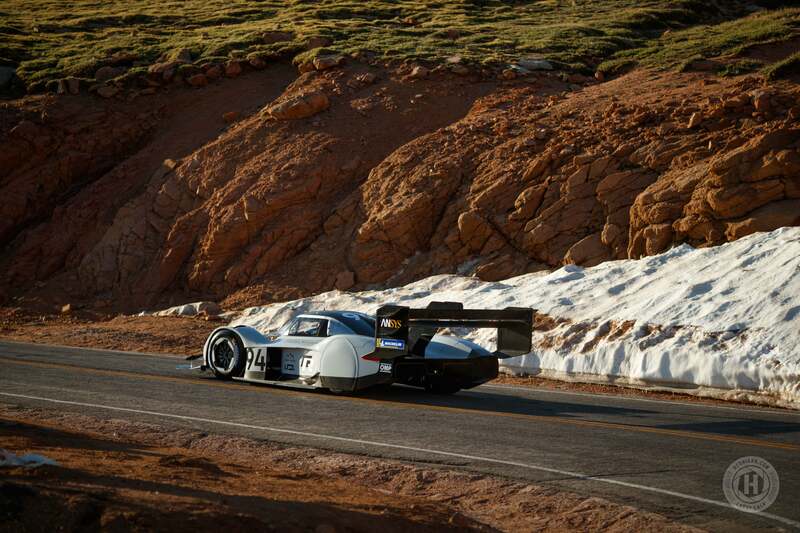 R and 919 show what we’ve been missing since the demise of Group C prototypes and B rally cars. It makes you long for these cars to make a comeback. 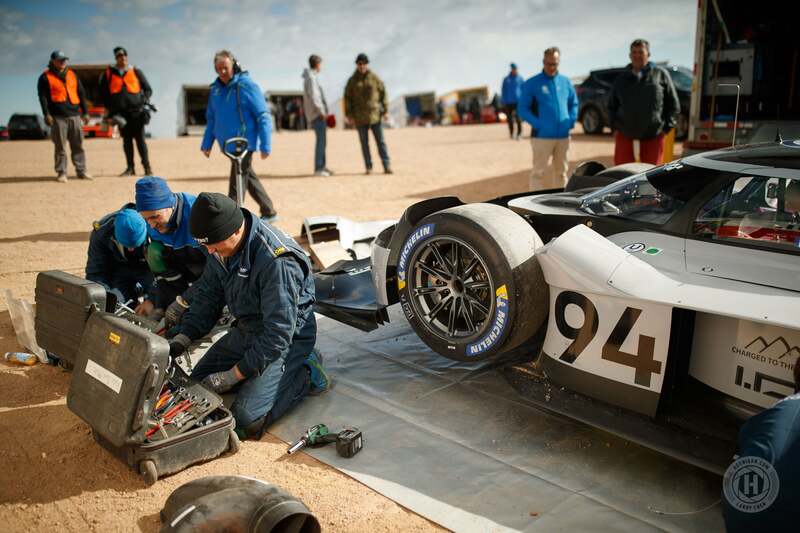 To have a proper race series between these vehicles and drivers, where the cars are built to the extremes of current automotive technologies. 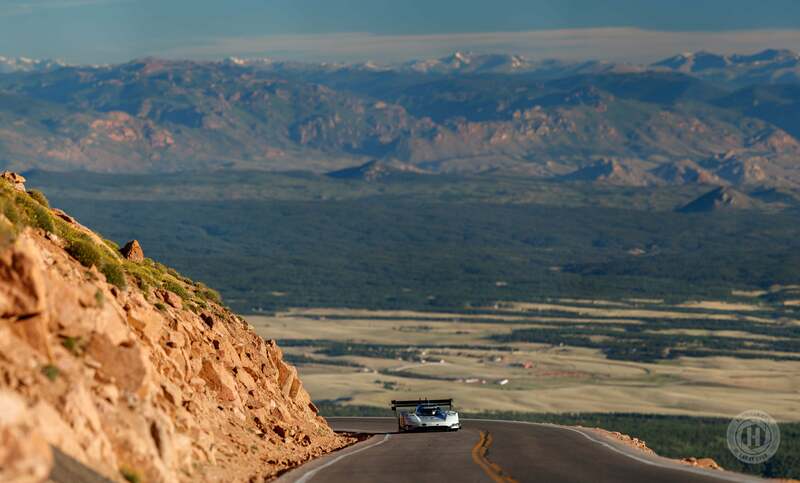 Sure, we have Pikes Peak but that’s only once per year. Looking at the dwindling attendance rates of spec racing, it’s easy to see that the average racing fan is over it. Yeah, it’s going to be rather spendy to bring back something like Group C or even Group B in rally, but that’s not the point. The point is to capture the excitement of the engineering again. Bringing back the part that makes racing amazing. We may even be able to achieve things with less danger to our drivers and us as fans. 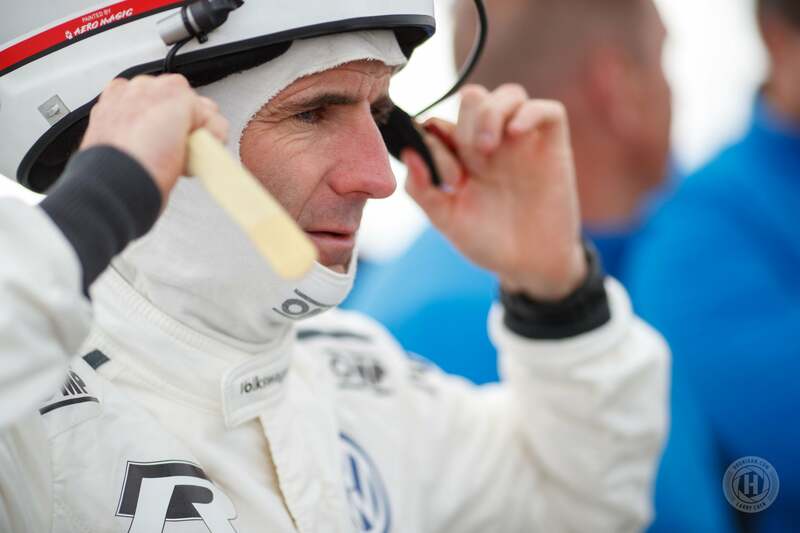 Improvements in safety equipment along with advances in chassis design allows for drivers to survive crashes that maimed or killed many legends of past eras in similar impacts. 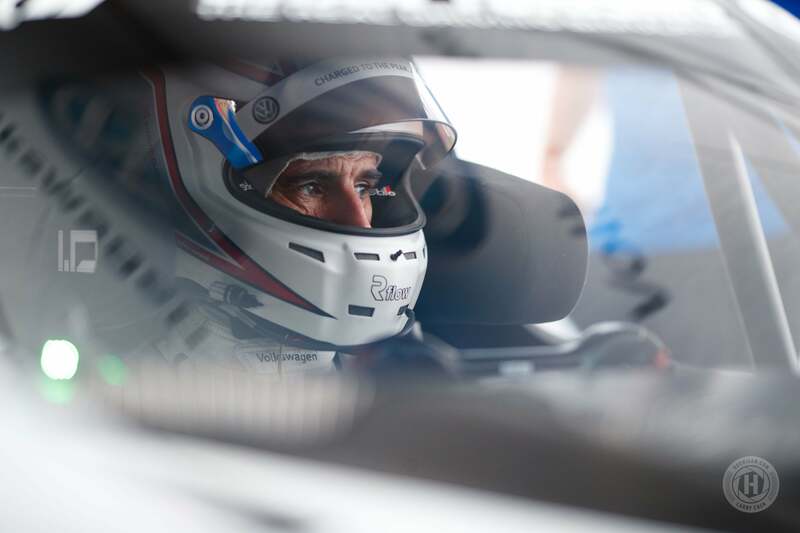 Closed cockpits and improved cabin cooling have made racing in prototypes safer making deadly head impacts essentially a thing of the past. Even the walls and catch fences have improved impact resistance to save both driver and fan alike. Group B and C could be done again, just as long as we throw fiscal responsibility to the wind. And it’s this conservative way of thinking that is starting to bankrupt many racing series as the cars and the races become ever more boring. 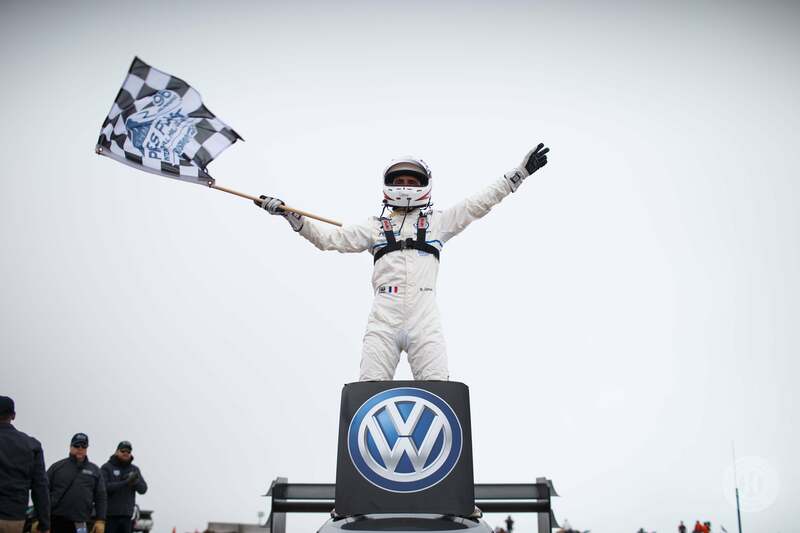 Here’s hoping more manufacturers take heed of Volkswagen’s lead and start thinking with an unlimited mindset.